Valentine’s Day in Japan is very different from back home in Australia. The date is the same, February 14th, but in Japan it is all about the chocolates. The tradition in Japan is for the girls to give chocolates to the boys. It is totally up to the girls to show who they like by presenting them with chocolate. The favour is returned to the girls on a special day called White Day, which is celebrated a month later on March 14th. This tradition in Japan of the girls giving to the boys on Valentine's Day is said to have started back in the late 1950s, by a company called Mary Chocolate. They started an advertising campaign along the lines that Valentine's Day is the only day of the year a woman can profess her love through presenting chocolate. Well it has been a very successful campaign and this tradition is still going strong today. Giri-choco (義理チョコ) obligation chocolate given to male friends, work mates, family and bosses. Giri means ("obligation") in Japanese and choco, ("chocolate"). There is no romantic association with giri-choco and it is just chocolate that you have to give to people. These are usually ordinary, inexpensive store brought chocolate and can range in price from 100 yen to 500 yen. Honmei-choco (本命チョコ) chocolates for that special one who you want to express your love to such as boyfriend, lover or husband. This type of chocolate is special, so it is usually handmade by the girls themselves or is a really expensive chocolate from a store, often presented together with a gift. 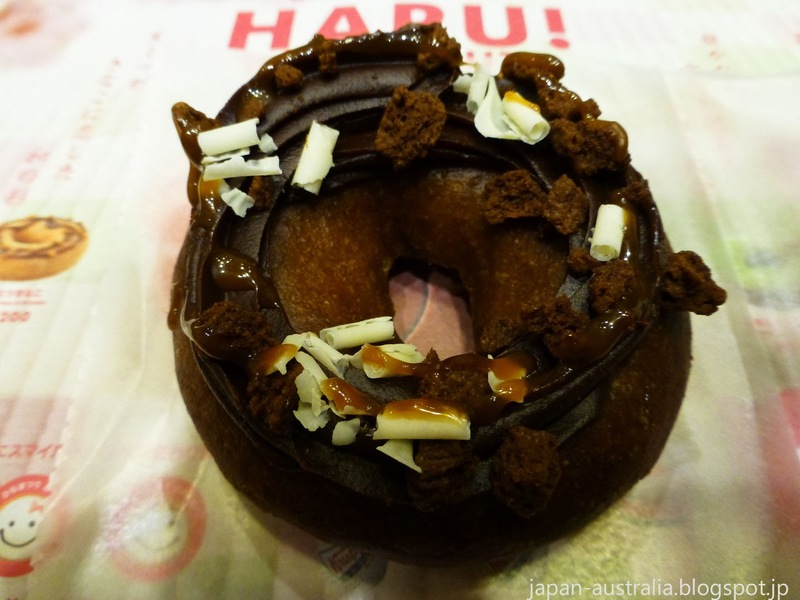 You are very lucky if you can get honmei-choco on Valentine’s Day! Tomo-choco (友チョコ) this is chocolate that girls give to friends and is usually inexpensive. This kind of chocolate has become more popular in Japan in recent years. Jibun-choco (自分チョコ) chocolates that girls just buy for themselves. Sometimes it’s nice to treat yourself to something special. Chocolate is the most popular gift for Valentine’s Day in Japan. Other popular gifts include cookies and small cakes. The department stores and supermarkets will be fully stocked with all sorts of chocolate days and weeks before the actual day. There are usually long queues at the stores in the days leading up to Valentine’s Day. 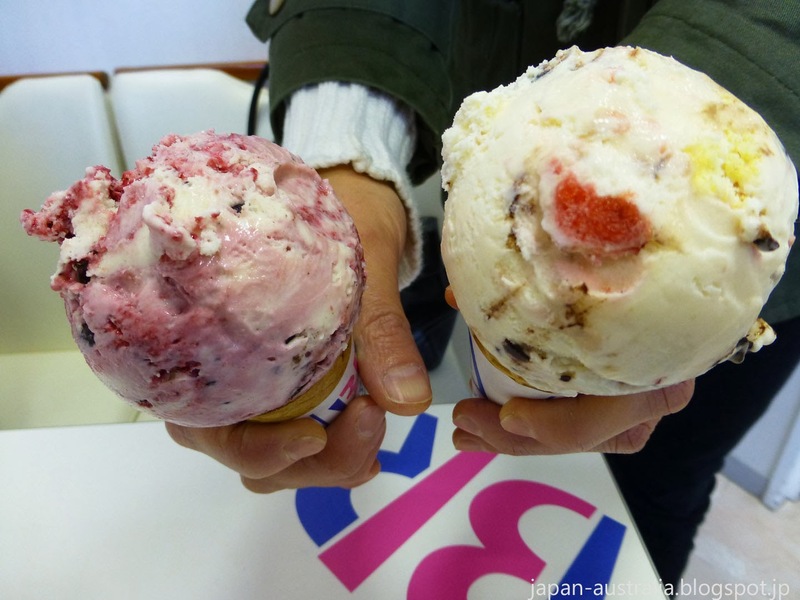 Mr Donuts and Krispy Kreme have several special donuts on sale just for Valentine’s Day, while Baskin Robbins called Thirty-one Ice Cream in Japan has some special Valentine’s Ice-Cream. 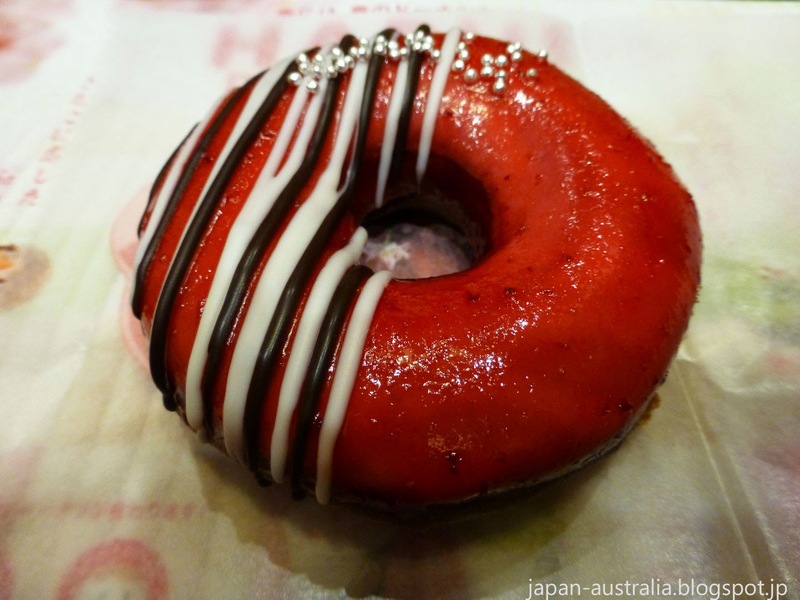 Mr Donuts has two kinds of their famous Pon de Ring Donuts for Valentine’s Day. They are the Pon de Marshmallow Chocolate, and Pon de Marshmallow Strawberry. 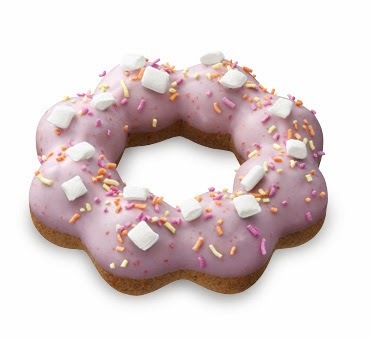 Krispy Kreme has released three limited edition Valentine’s Day flavors. They include The Roasted Almond and Chocolate Donut, Raspberry Jelly and Chocolate Donut, and Caramel and Chocolate Cream Donut. 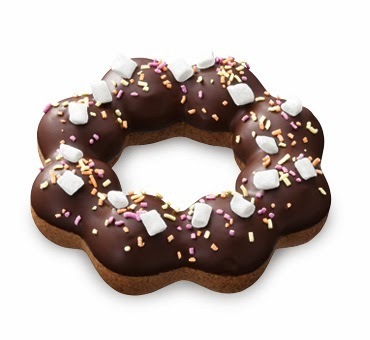 You can pick up a set of two of these donuts in a special Valentine's Day box with a slot for a message card for 600 yen (USD $6). The set is called the Rich Chocolate Gift. 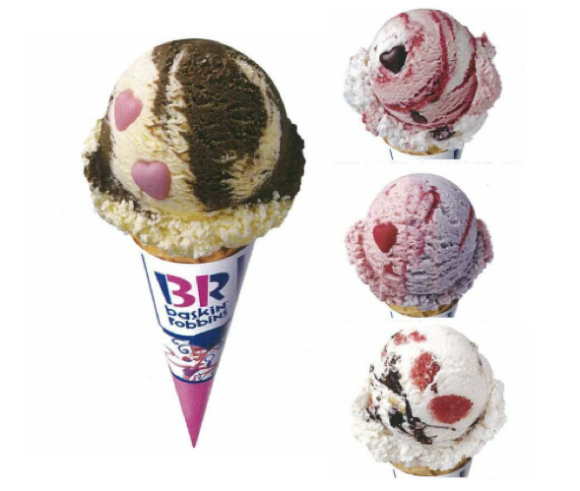 Baskin Robbins has four new “flavors of love” including the feature flavor which is amaretto chocolate with pale pink hearts. The other flavors are “Love in Berry” made with raspberry and blueberry ice cream with raspberry chocolate hearts, “Lovestruck Cheescake” made with strawberry cheesecake ice cream with strawberry and cheesecake bits and a fudge ribbon, and “Love Potion 31” made with raspberry and white chocolate ice cream with a raspberry ribbon and chocolate hearts. Did you know there is also a thing called "Valentine’s Insurance” in Japan? A guy can take out an insurance policy if he feels like he might not receive any chocolates on Valentine’s Day. A box of chocolates will arrive in the mail and he can feel that little bit special on the day. I hope you have a great Valentine's Day this year wherever you are in the world.